A photograph is a record of an exact moment fixed in time and delivered to the present. No matter how fresh or innovative, a photograph is always a backward glance. 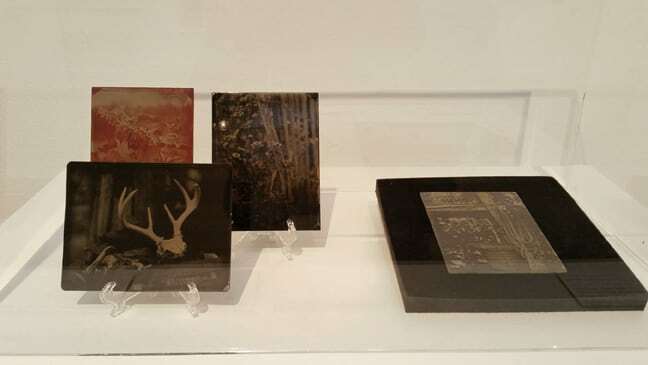 Nothing portrays this more eloquently than Morgan Alexander’s gorgeous wet plate ambrotypes and tintypes which could only be exactly as they are — each a unique image created without a negative. What they are presents photography at its most ephemeral, though each is ponderous with time and laden with history, making it easy to understand why Alexander thinks of them as sculptural objects. This entry was posted in News on January 21, 2016 by gallerymanager.